Grace & Gratitude ~ Happy New Year! As this year of 2011 comes to a close, I am feeling an array of emotions brought on by days past and an excitement to eagerly step into the New Year. It is needed; it is time. This year has evoked every human emotion for me, all the symptoms of life choices and important journeys taken. Each emotion and feeling has stretched, pulled, pushed and tugged me in every which way, but all, as I sit here today in reflection on a bumpy flight from the east coast to west, have left me breathless and sated with two feelings that outweigh the others, grace and gratitude. I do my very best in every life situation to handle whatever comes my way with grace. I certainly don’t always succeed and sometimes I fall, but the simple word itself conjures such inspiration and tranquility that it makes you want to try even harder to incorporate its true essence into your life. Gratitude can prove more challenging than grace, or so I’ve experienced. We can all focus on what didn’t happen, what dreams didn’t quite come to fruition or live up to our expectations. We can choose to live in those empty spaces of unfulfilledness or realize that a journey is a journey and along the way life shows up to offer guidance or shift our glance, always knowing better than we. I have learned in 2011 what it means to consciously wake up every day and choose gratitude. It has become an inherent part of my life and it’s as powerful and important as choosing a life-partner, or making an important decision that alters your course. I can honestly say that the combination of choosing to live a (gluten-free) life of grace and gratitude has opened me up to see the abundance in my life and within the lives of all those around me. It has reminded me again and again to embrace every soul that I’ve drawn to my life, whether they are close-by for the duration, or leave their individual mark of influence while passing through. Just the other day I toured the Tennis Hall of Fame Museum in Newport, Rhode Island with my brother. I’ve been back east for Christmas with my family and exploring my brother and his family’s new city of residence. My brother and I have shared a deep love for one another and tennis our entire lives. One of my fondest childhood memories was spending hour upon hour hitting tennis balls against our wooden garage door together, honing our shots, saving our competitive juices for when we hit the court. He usually beat me and still does to this day, but the bond that one sport can form between siblings is priceless and enduring. Wandering through the museum we arrived in the “Andre Agassi room,” a special section dedicated to Andre’s career and accomplishments due to the fact that he was inducted this past July. As we made our way through the room we were both stopped in our tracks by Andre’s induction speech that was being played as a loop on a TV monitor above. Taking in only part of his speech would not do…no, we listened and watched the emotional speech in its entirety. Having read Andre’s book, “Open,” this past summer, I felt a stronger connection to the heart-felt words of life that he was so eloquently expressing, while fighting back his own tears the whole way through. One of the most moving parts of his book and consequently his speech, was the story of his encounter with Nelson Mandela, while visiting Africa en route to safari. The words that Mr. Mandela imparted on Andre were life changing and helped guide him to the next steps of his journey, but this time by making more “careful choices” along the way and living a life with more care. That really stuck with me. By the time Andre’s speech came to a close my brother and I felt tears welling and were so moved by the transformation of a life that one man was so willing to share with all of us, with the world. Whether you’re a great athlete, famous author or a simple person moving through the world while struggling, growing, stretching each and every day, none of us can truly find our greatness until we’ve “spent a little time at rock bottom and gotten comfortable there,” as Andre so perfectly expressed. For it is from that space that we all find ourselves and relearn what is truly important to take with us on each of our journeys. If you haven’t read “Open” read it. The book struck me to the core and has lingered in a very significant way. Now, I realize that at one point I had a raging crush on the guy and my brother in turn, only dressed in Agassi gear (yes, we were obsessed), but the point it this…we can all get in our own way, we can fight destiny, we can even choose to ignore the whisper of our authentic self until it bursts through, but without question and as difficult as this is to grasp at times, everything in one’s life happens for a reason. Period. Along those lines, I wanted to share two of the most important lessons I’ve learned this year that have come to me through other blogs I so enjoy reading, and both arrived at just the right time. I hope these powerful quotes fill you up in a way only you can know, as they have for me. How life changing a quote can be. Words, powerful words. “Maturity is the capacity to endure uncertainty"
It's Christmas week, or so the calendar and insane amount of Christmas sales splattered on every media outlet are proclaiming. Being in California, it's tough to gauge what month we're in since temperatures still climb into the balmy 60's each afternoon and no rain has fallen or is in the forecast...quite different from snowy Christmases past. But I'm not complaining. As the old saying goes..."better late than never," which is also the motto I've adopted for this holiday blog post. I know there are many of you out there still caught up in the last minute rush of Christmas gift shopping, and if there's a Celiac on your list or a gluten-intolerant elf or two, this helpful list is for you...and them! This wonderful company is from Italy and has created the most nourishing and awesome products. 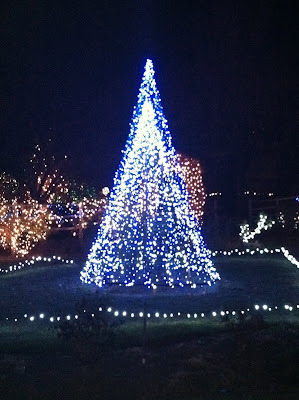 The fact that I'm sharing their name and website is quite the Christmas miracle, as I swore to keep this one to myself! The Chamomile line is totally GF, along with their essential oils, cleaners and body washes. The product line is tough to find. 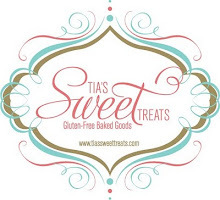 The easiest way to order is through their website and if you have any questions about gluten in any products, pick up the phone and call them in New York City. Their customer service is wonderful and they'll thoroughly review any product with you. If you are looking for really nourishing and balancing essential oils for the face, then look no further. I've been using their chamomile eye oil and essential oil for dry skin for years. They come in a prefect travel size bottle, as well. Once you try these oils, you'll never be without. This little mid-west company is a true find with consistent, healing products. 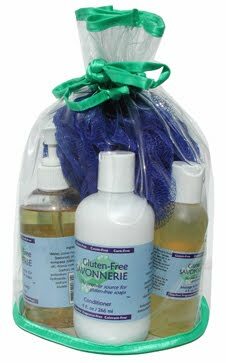 Gluten Free Savonnerie carries a really pure and wonderful line of the perfect stocking stuffers. From GF soaps to lip balm to the absolute best GF lotion I've found, and that's saying a lot! They are reasonably priced and a great company to boot. Oh boy, where to start? This is a very condensed list of some fun treats and places to find those treats that will make any GF boy or girl very happy this holiday season. I have to admit that I literally was just introduced to this fantastic on-line company this week by a friend's mother. The site offers a wide range of GF products, cookbooks, educational information and wholesale pricing. Who says that Santa only gets cookies and milk? If I were Santa, I can promise you that I'd want one of Kara's Cupcakes waiting for me on the hearth with a nice glass of almond milk! I ate my first GF cupcake from Kara's this past weekend. It was literally five minutes in Heaven as I politely devoured a sweet vanilla, coconut cake. Wow. Find a location near you. They would make a wonderful Christmas dessert or breakfast...or a snack. 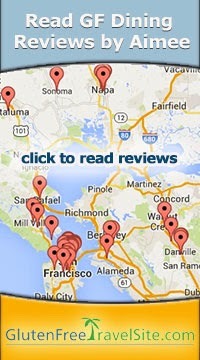 Kara's has seven location throughout the greater Sand Francisco Bay Area. Never mind that my fabulous Aunt and her amazingly talented farmer husband founded this hard cider company, the fact is, their cider is just damn good! Fresh from their beautiful orchards in the Yakima Valley of eastern Washington, Tieton Cider Works produces some of the most organic and delicious apples and pears in the Pacific Northwest. All naturally gluten-free, TCW offers seven wonderful varieties to choose from and it's not too late to sign up your loved one(s) for their Tieton Cider Works Cider Club. Shibumi Knoll Vineyards Shibumi Knoll Vineyards is the dream-come-to-reality of my "second father," who envisioned his passion for years then made it his reality. Perched atop a gorgeous knoll in the heart of St. Helena, CA, Shibumi is a site to behold...and their award-winning Chardonnay that's featured at The French Laundry is one you won't forget. 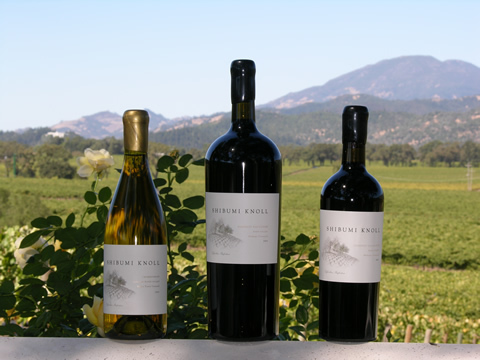 Shibumi Knoll produces very good to outstanding wines, all at a fair price, with Don's vision of bringing the grace that is Shibumi into your life...and every glass of his wine. There are two protein/snack bars that I can't live without; Think Thin Crunchy Peanut Butter (thanks Mom!) and Kind Bars; Cranberry is the bomb. They make perfect stocking gifts and both come in a variety of flavors and to crunch, or not to crunch. Try them all! 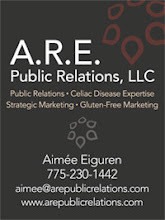 Gift cards to your favorite grocery store are always a hit, especially given the increased costs of gluten-free foods. Trader Joe's and Whole Foods both carry a huge selection of GF foods, as well as offering handy gift cards you can load and share. I still love the tangibility of holding onto a magazine and turning actual pages glittered with beautiful photos of tantalizing foods and great articles that cause you to pause, fold pages of favorite tips to revisit, and pile up on a night stand or coffee table. Here are a few favorites that make the best gifts during the holidays! Jaime Oliver's app is gorgeous and awesome. Super interactive and includes a library so you can shelve your favorite recipes then when you purchase new ones they're automatically stored for you. Love Jaime! Epicurious - Seriously, if you don't have this on your iPad ask Santa! It's so easy to use and the shopping list that melds all your chosen recipes into categories makes it a breeze when hitting just the right aisles at the store, not missing a beat or an item. Food52 Their new holiday app is beautiful and deserves a large chunk of time spent perusing the recipes, photos and awesome tips for the home cook. I found this app via one of my favorite GF blogs, Gluten Free Girl and The Chef. To pull a well-written description of this app from her site..."This app not only contains recipes for the holidays like Le Bernadin’s Crispy-Skinned Fish, Kale with Pancetta, Cream, and Toasted Rosemary Walnuts, and Tipsy Maple Corn, but it also has a photographic guide to the most basic cooking techniques, baking 101, and prep for drinks. There’s also a holiday tip sheet for how to survive these crazy weeks. And, if I were more adventurous and had more time this year, I’d make the gingerbread house according to the specifications they provide." Last but not least...I had to mention the new GOOP City app featuring NYC. Just came out this past week and though I don't live in NYC, nor maybe do you, this app put together by Gwyneth Platrow is loaded with really great finds, hot spots, delish eateries and shop-'til-you-drop ideas for your next long weekend on the Island. You can never go wrong at any time of the year giving art and jewelry to someone you love. Here are two recent finds that make giving both more affordable and realistic, as well as hip and stylish. BSDA (Buy Some Damn Art): Funny, no? 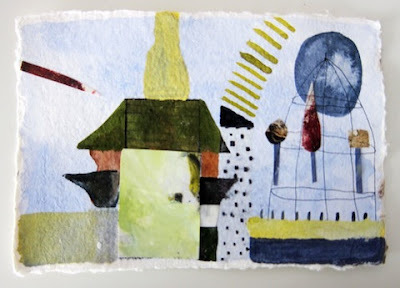 Buy Some Damn Art brings a hand-picked selection of some of the best independent art directly to buyers, arriving in their inboxes every week, with the intent to bridge the gap between prints and far-too-expensive originals for a new generation of art buyers. Shibumi Gallery - Located in the art district of Berkeley, CA this lovely little industrial-style gallery sells some of the most intriguing and lovely pieces of jewelry I've seen. From affordable dangles to more complicated, expensive pieces, the variety of artists are as varied as the prices. If you can't get to Berkeley, give them a call or visit their site where you can view and shop from your laptop or iPad. Finally, for that active, healthy, gluten-free gal in your life visit Women's Quest and check out the inspiring adventures for body, mind, and spirit they offer. They can accommodate gluten free guests and are understanding of all celiac dietary restrictions. Their trips look amazing and the company was developed and refined over 16years by world champion triathlete, Colleen Cannon. Yoga Works has become a favorite place of mine to reunite with my body, mind and spirit after a long day at work. If you or those you are shopping for are living in California or New York then you're in luck. With beautiful studio locations located throughout both states the variety of classes offered, including mat and reformer Pilates make every workout challenging and new. In reviewing this list it's clear there are some wonderful products and offerings however, I would be remiss if I didn't mention (from my heart) where the true meaning of Christmas and giving comes from for me. This Christmas season I'm counting my blessings and all of the abundance in my life that can't be bought in a store or wrapped and beautifully placed under the tree. I'm thankful for my faith and for that tiny baby boy that was born one cold night in Bethlehem long, long ago. A very Merry Christmas to you all and a blessed New Year! See you in 2012! Can't wait to see what the New Year will bring.